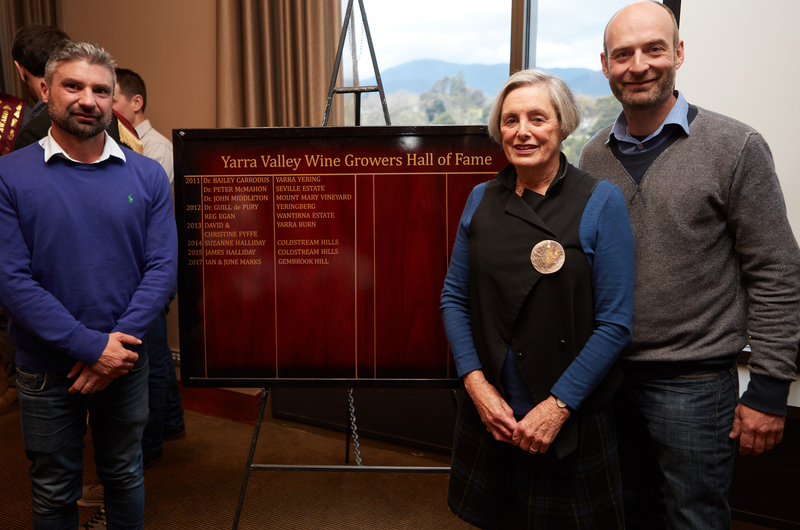 On September 15th at the Annual Yarra Valley Winegrowers Association Trophy Presentation luncheon, June and Ian were inducted into the Association's Hall of Fame. 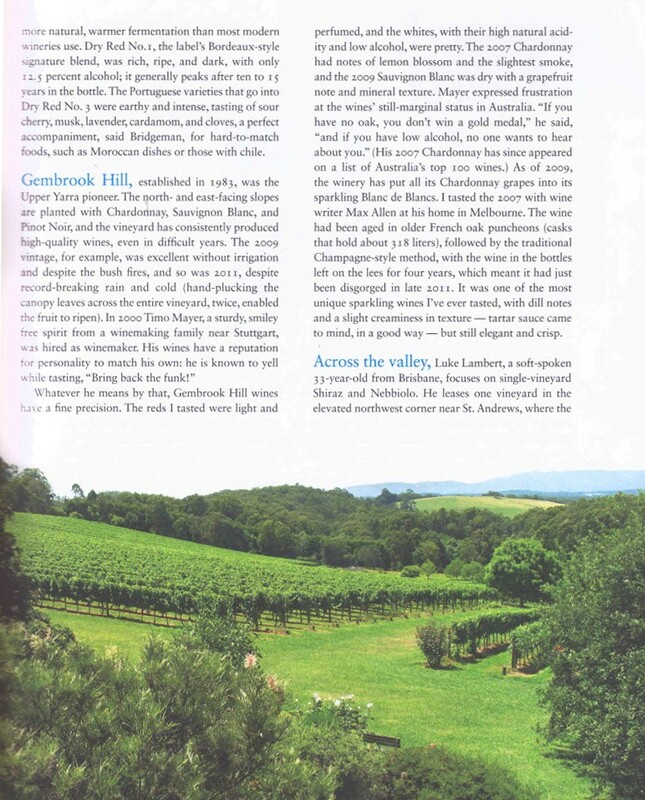 This is a great honour, as they join a very small list of illustrious winemakers and associates, who have distinguished themselves as pioneers of excellence in the re-emergence of the Yarra Valley as one of the premier wine producing areas of Australia. As June said in her acceptance speech, it remains to Andrew and herself to uphold the high standards Ian created. Slightly funky smoked-charcuterie-like aromas, quickly evolving into raspberry, strawberry and red cherry. 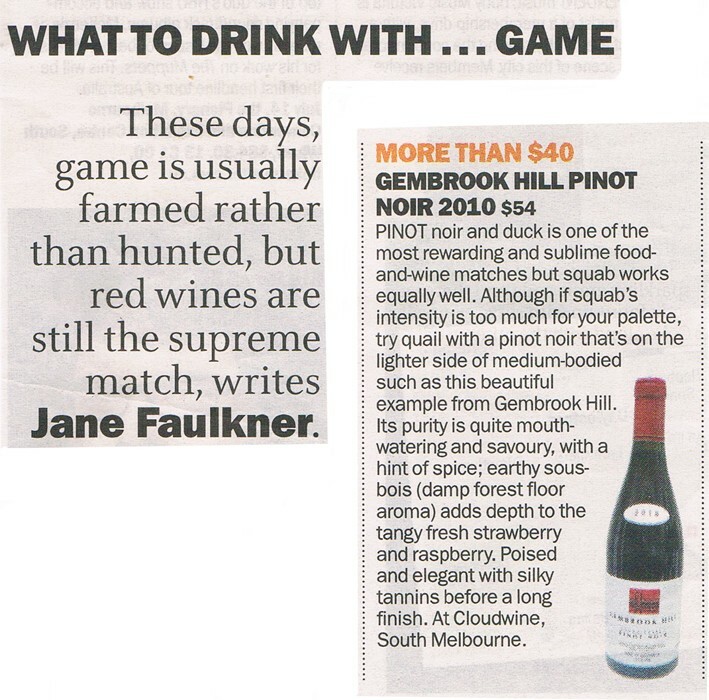 Intense, tight, concentrated palate, which is distinguished by very fine and very long flavour. Sweet fruit, but it's graceful and delicious. A beautiful wine which got better and better the longer it was in the glass. 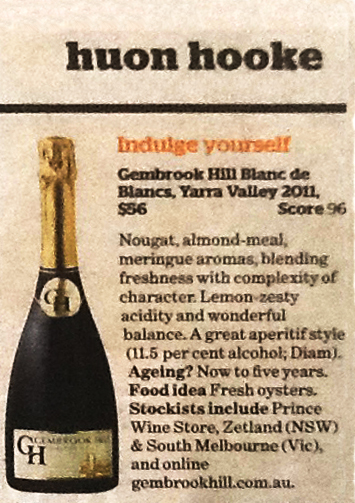 “An outstanding aperitif style with great flavour and character. Montélimar nougat, almond meal, meringue aromas, then a lemon zest palate with bouncy acidity. The whole thing is very refreshing as well as complex. 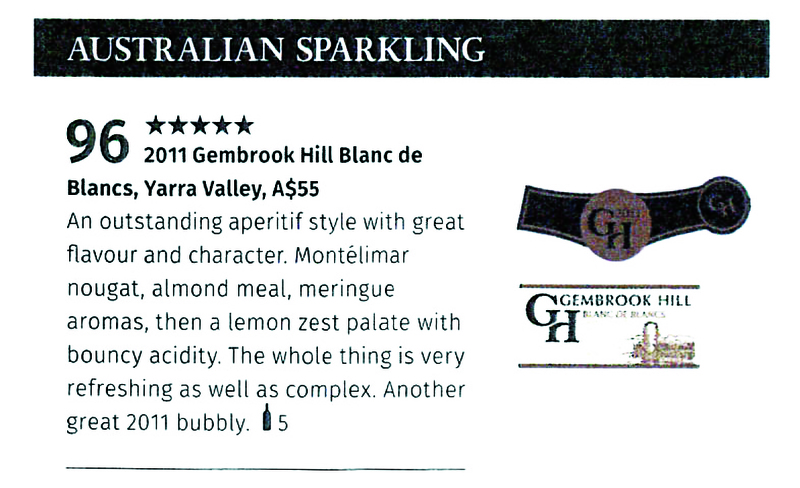 Another great 2011 bubbly." 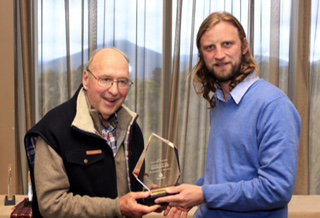 Ian receiving the award from Adrian, representative of E.E Muirs & Sons, at the Yarra Valley Wine Show luncheon held last Friday September 2, 2016 at RACV Healesville. Nougat, almond-meal, meringue aromas, blending freshness with complexity of character. 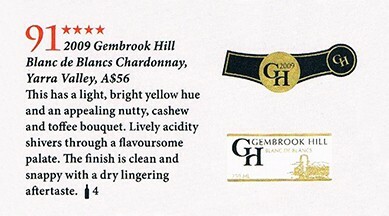 Lemon-zesty acidity and wonderful balance. 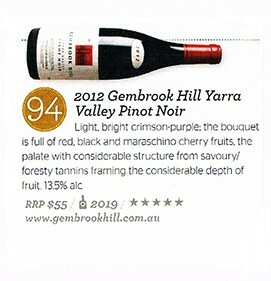 "One of four outstanding Australian Pinots." 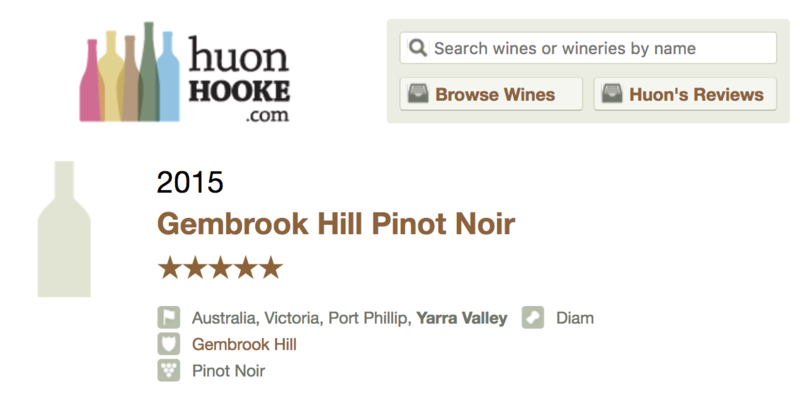 One of Justin Knock's top 3 Pinots. time out and reflect on our humble beginnings. 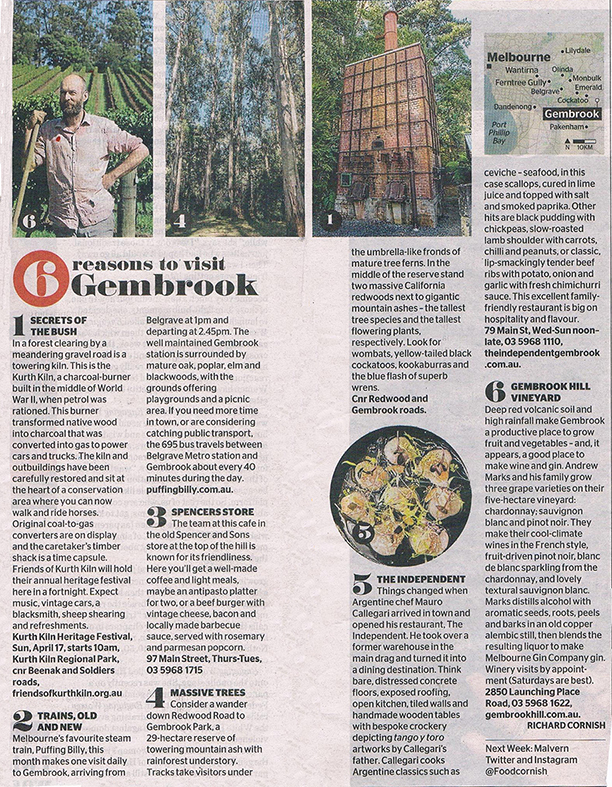 Kristine Kowalchuk reviews Gembrook Hill and Yarra Valley vineyards, in the November 2012 issue of 'The Art of Eating'. 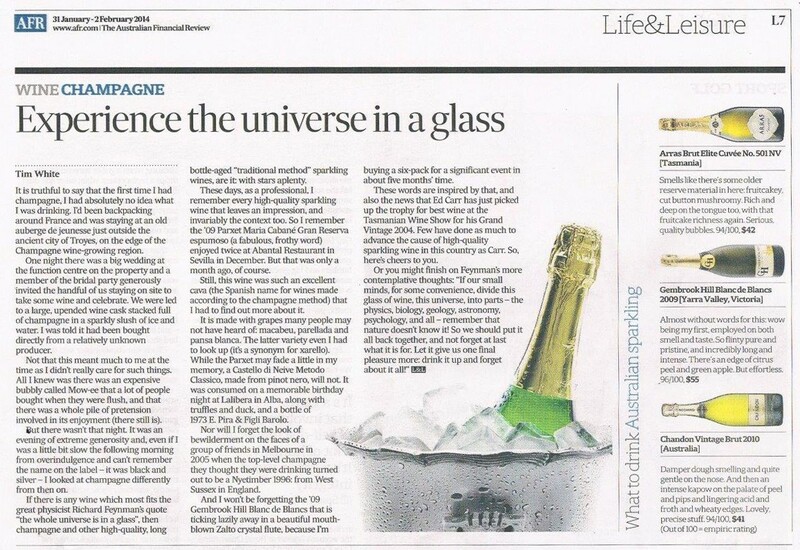 We're delighted that our two winemakers continue to win recognition. 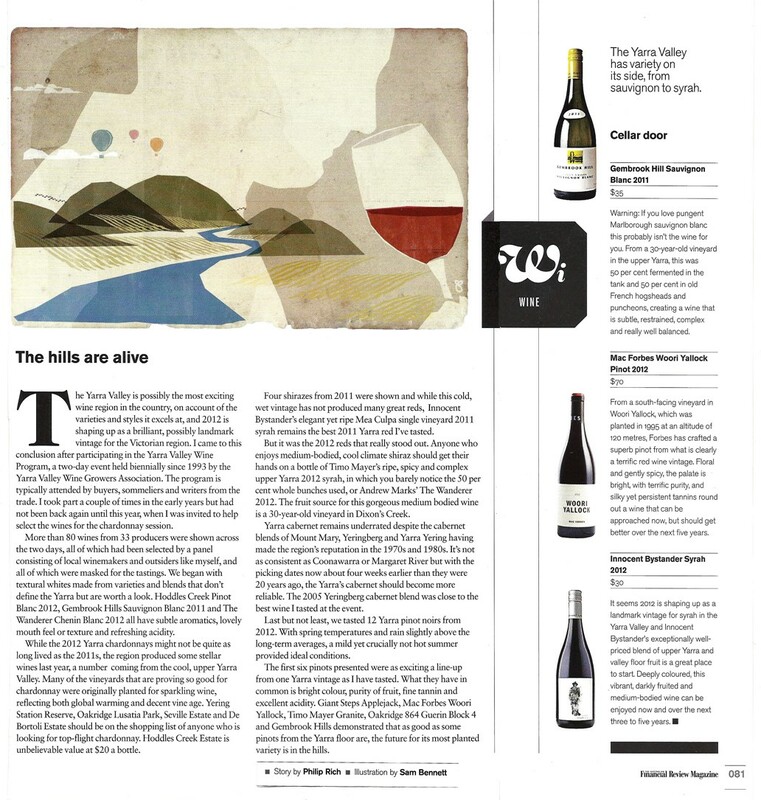 Timo Mayer has been nominated for Gourmet Traveller Winemaker of the Year. 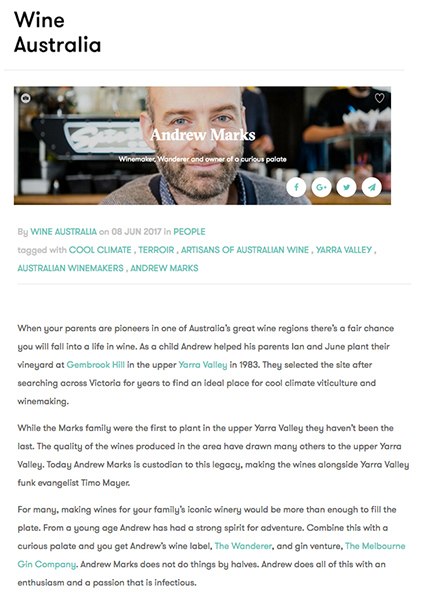 Andrew Marks was a finalist in the Young gun winemaker of the Year. 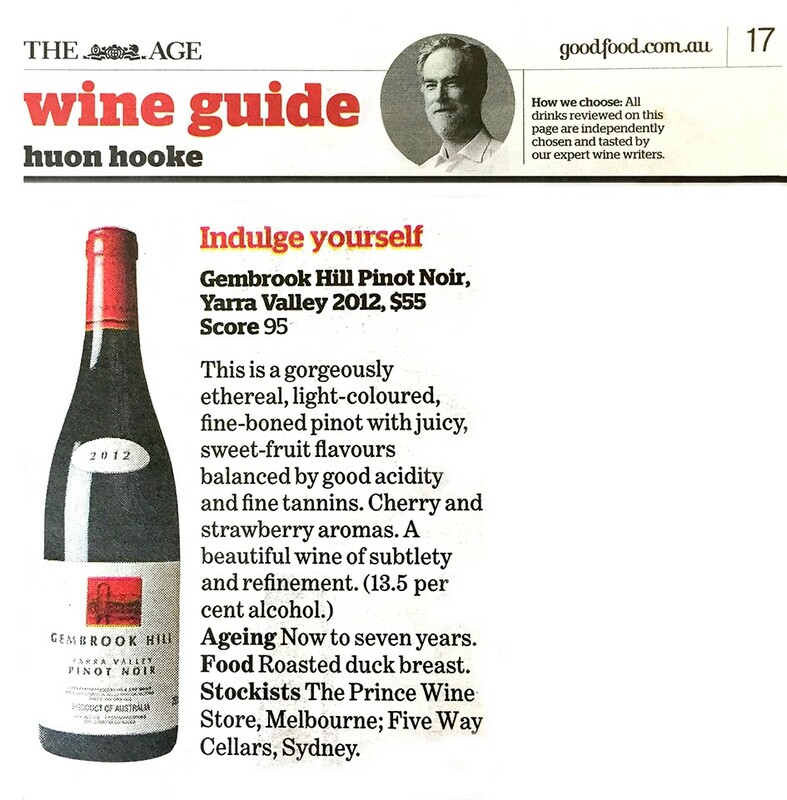 2010 Gembrook Hill Pinot Noir, review by Jane Faulkner, The Age, "The good Life" food and Wine, Saturday April 21. 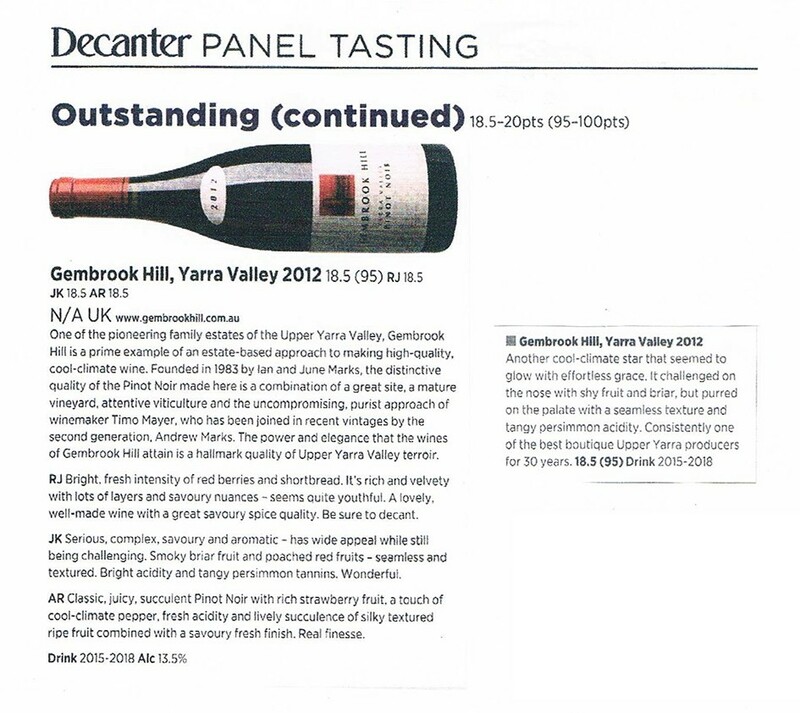 Within he describes the wine as "The most beautiful Australian white that I have tasted in at least a year. 96/100, 10/10"
We are absolutely delighted with this and the phones have been running hot! So we thought we better let you know that there is a small quantity of this wine still available to our loyal direct sales clients. 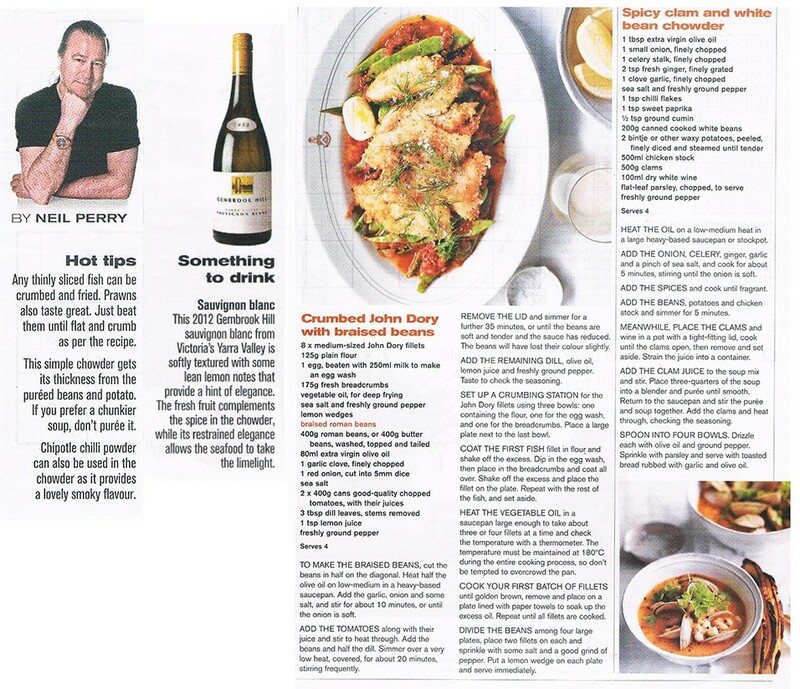 Matt Skinner is an author, writer, consultant and educator well-known to international audiences for his refreshing take on wine. 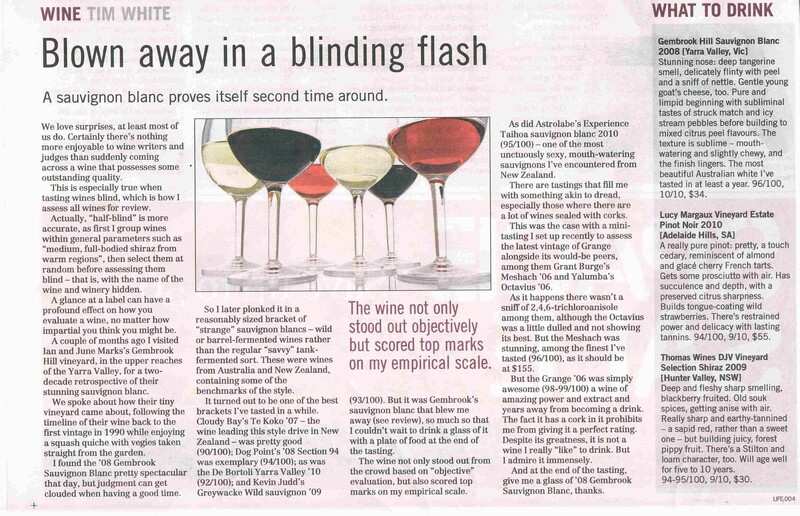 Our 2009 Fume Blanc recently made it into his top three springtime wines. 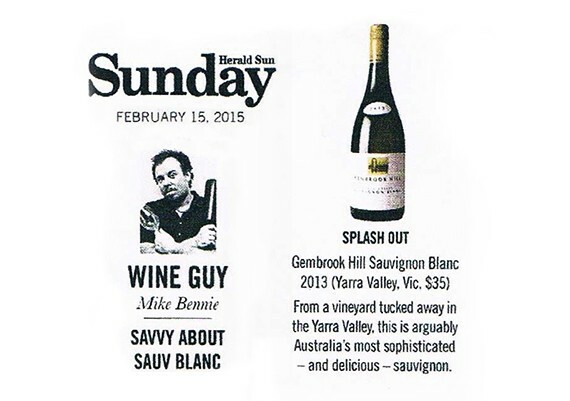 Here is his skinny: "This is another cracking sauvignon blanc out of the Yarra Valley, this time from the team at Gembrook Hill. With old French oak employed as a key component, expect a pure and compact wine with smells of grapefruit, guava, cashew and minerals, which set the tone for a mouthful that displays terrific length of flavour. Pair a glass with a steaming bowl of spaghetti vongole."